Different industries require equipment with materials and configurations to suit their requirements. Recognizing this, Jaguar Industries produces a vast array of cables for a wide range of applications. Whether your business requires miniature products for small electronics, or a powerful product made to handle high voltages, we can supply you with what you need. 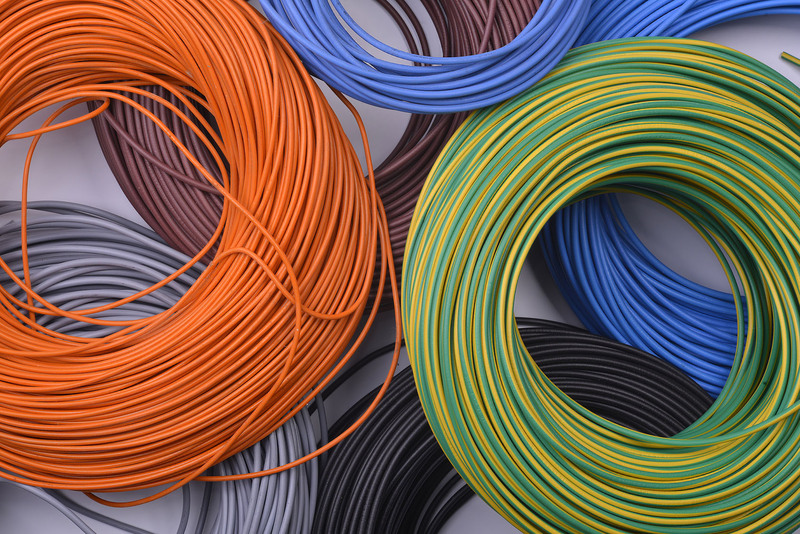 Durable and cost-effective, PVC is a mainstay in the wire and cable industry. Due to its popularity, it is used as insulation for cables in various applications, from audio-visual equipment to computers. Our online catalog for PVC cables features product lists for multi-conductor and multi-pair cables, miniature cables, and flat cables. PTFE is known for its outstanding properties which make it the best insulation for cables used in harsh environments. This material also possesses excellent electrical properties, such as low dielectric loss, low dielectric constant, and high dielectric strength. To improve on these ideal qualities, we produce PTFE cables with shielding to reduce the chance of dangerous surface discharge, help prevent electrical interference, and also provide better safety. Furthermore, a shielded cable is more resistant to damage, reducing the likelihood of unnecessary replacement work. Flexible cables play an essential role in applications where flexing and movement are encountered. With our expertise in wire and cable manufacturing, we can create these to suit different environments and functions. Built to transmit high frequency signals with minimum loss, our coaxial cables can be made to fit various configurations and requirements. Our online catalog presents three of the most popular types: regular, for use in room temperature; MIL-C-17 QPL, created to meet strict military guidelines; and Plenum and High Temperature Rated, for use in demanding conditions or when plenum-rated cable is specified. Jaguar Power & Control SO (W) and SJO (W) cables are highly flexible Neoprene® jacketed cables constructed from stranded conductors. Fillers are used to improve flexibility and roundness. These are made to meet the specifications set by UL, CSA, OSHA, and MSHA. Aside from the great array of products we can provide, we also offer value-added services to create wires and cables made to your requirements. These include high-speed twisting and planetary cabling to create multi-conductor cables from single conductor items, and custom jacketing to meet customer specifications.